The Conferences Index Page allows you to view all the conferences within a course. As an instructor, you can create new conferences, start conferences, and manage concluded conferences. 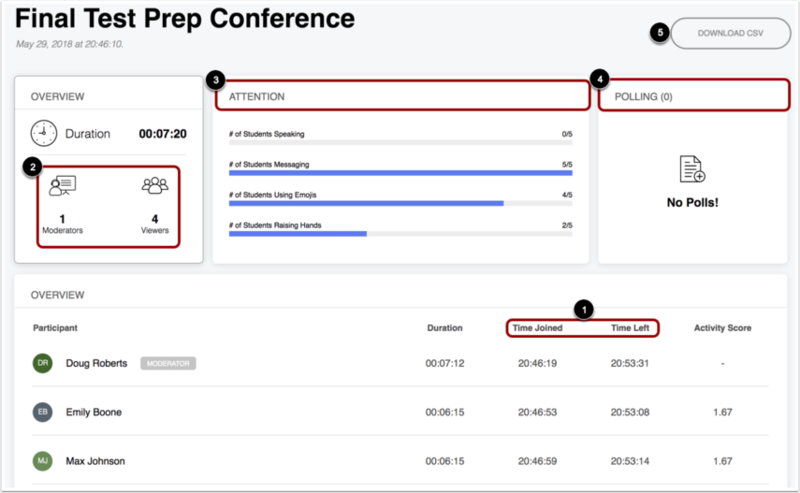 If your institution has upgraded to the Canvas Conferences premium tier, you can view conference statistics. 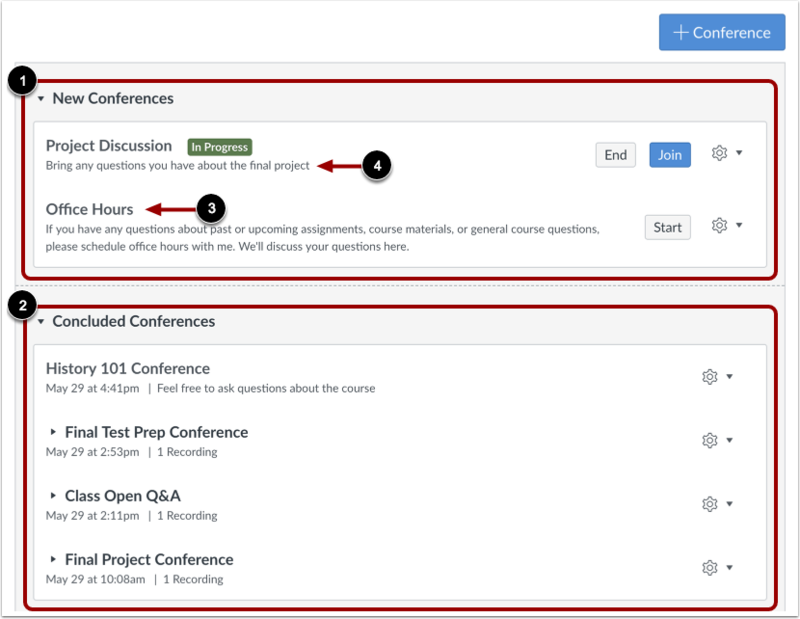 If a student has been invited to a conference, the student can view the conference in the Conferences page. As a moderator, you can start new conferences . Once the conference has started, the conference status shows as in progress . Participants invited to the conference can join as long as the Join button is visible . Concluded conferences display in the Concluded Conferences section. Each concluded conference shows the title, date, and description of the conference . You can delete a concluded conference in the conference's Settings menu . 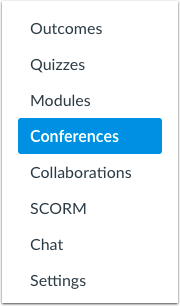 If your institution has upgraded to the Canvas Conferences premium tier, you can view conference statistics by clicking the statistics link. Statistics include metrics about student participation in the recorded session, such as length of time in the session , number of moderators and participants , and the number of students who spoke, messaged, used emojis, or raised their hands during the conference . Metrics also include each student's response to polls . To download statistics as a CSV file, click the Download CSV button . Previous Topic:How do I delete a collaboration as an instructor? Next Topic:How do I create a conference in a course? Table of Contents > Conferences > How do I use the Conferences Index Page? Re: How to view a recording after the Conference has ended? Re: where can we see the records of meeting again?